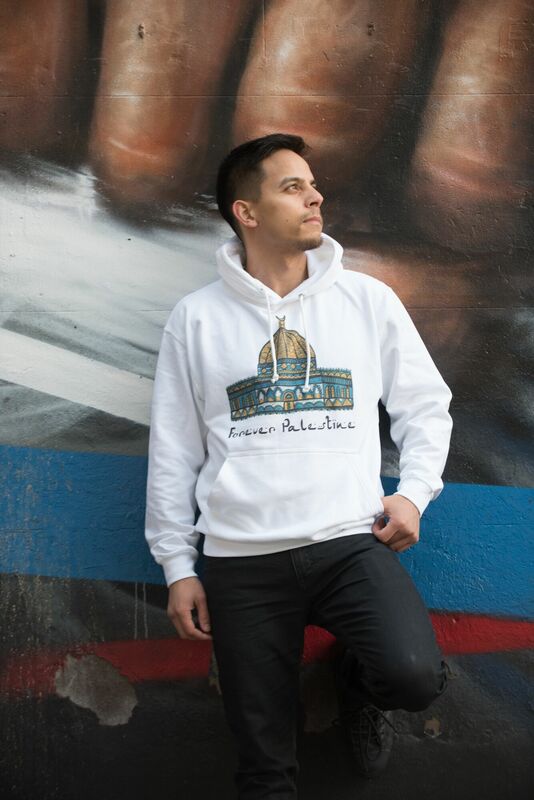 High quality mixed Cotton white hoodie illustrated and designed by artist Farrah Azam. 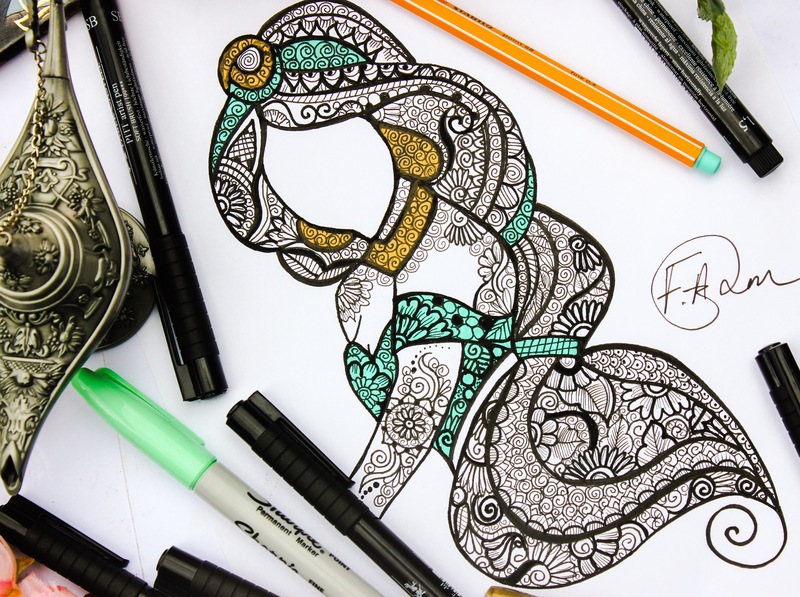 A hand drawn illustration lovingly created using the finest professional artist pens. 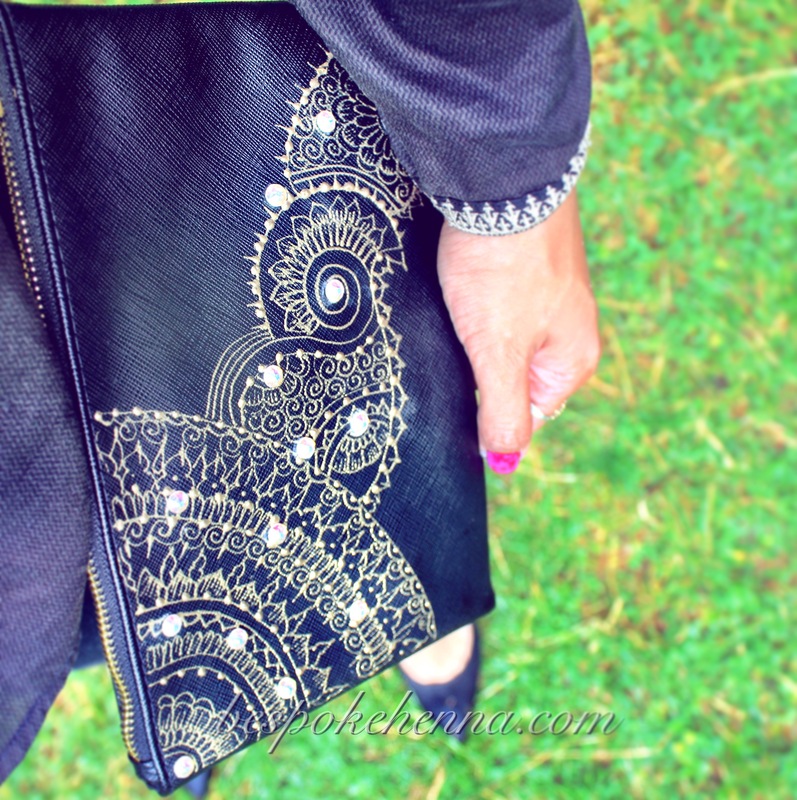 Faux leather clutch back beautifully hand painted with champagne gold paint and embellished with genuine Swarovski crystals. Large pearlescent greetings card hand painted with metallic emerald green acrylic paints and finished off with emerald green and aqua rhinestones. All cards come with envelopes. 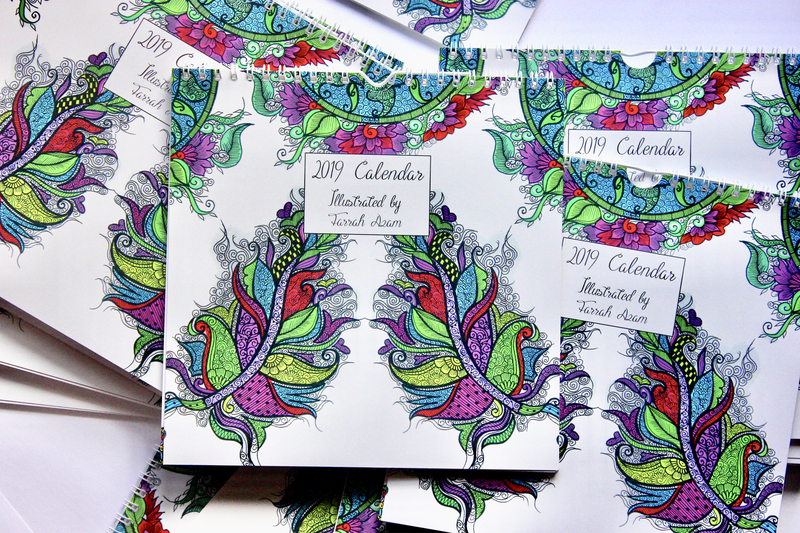 These 250 Gsm high quality, pearlescent gold dust greeting cards are hand-painted, hand-drawn and embellished with a variety of acrylic gems. The cards are 6” square cards and come with matching pearlescent gold dust envelopes. 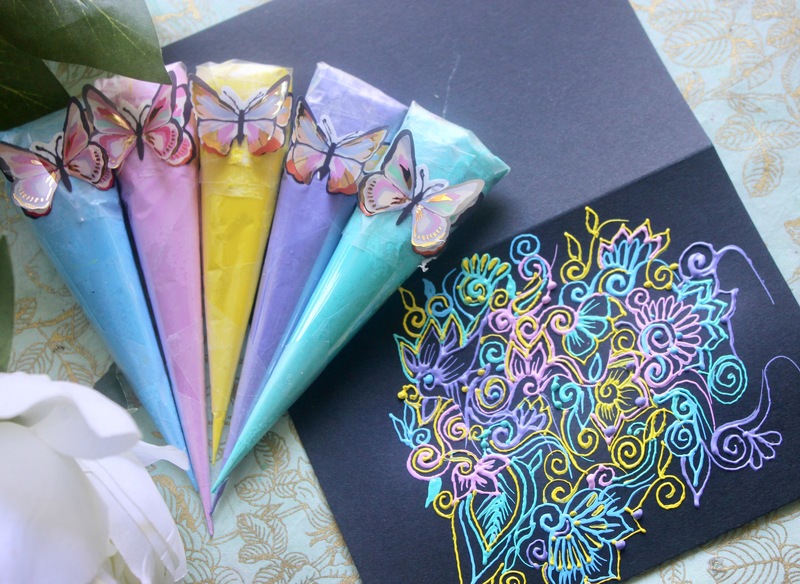 They’re also pretty enough to frame and retain as memorable keepsakes! 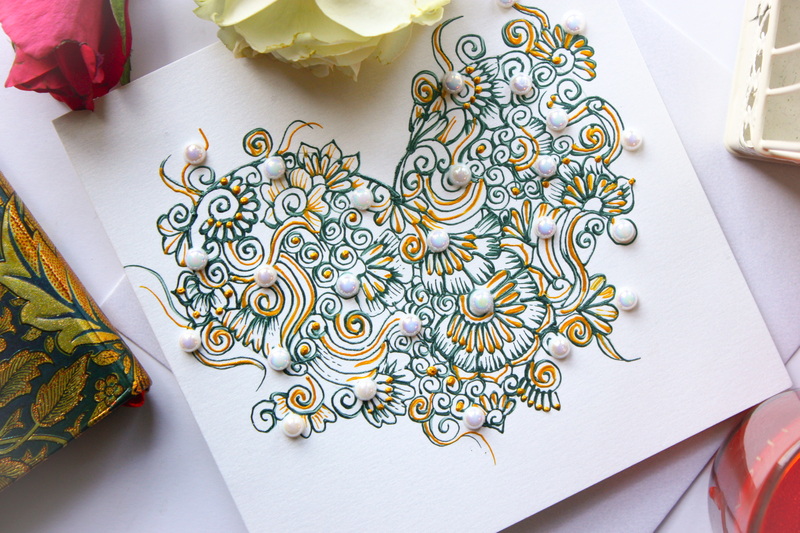 A pearlescent greeting card hand-painted with pearlescent teal green and gold acrylic paints and finished off with AB pearl rhinestones. Perfect to frame as a keepsake too. 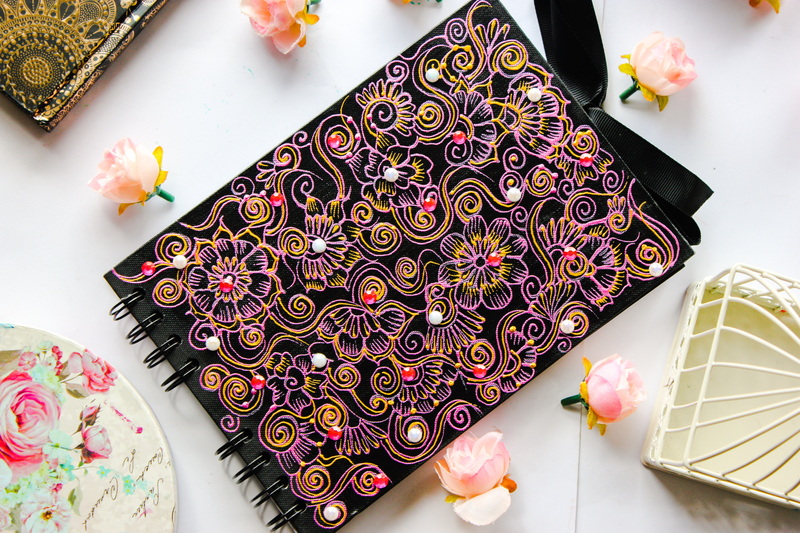 Beautiful and vibrant hand-paint guestbook/scrapbook hand-painted with gleaming pink and gold acrylic paints. The piece has been finished off with hot pink and AB pearl rhinestones. 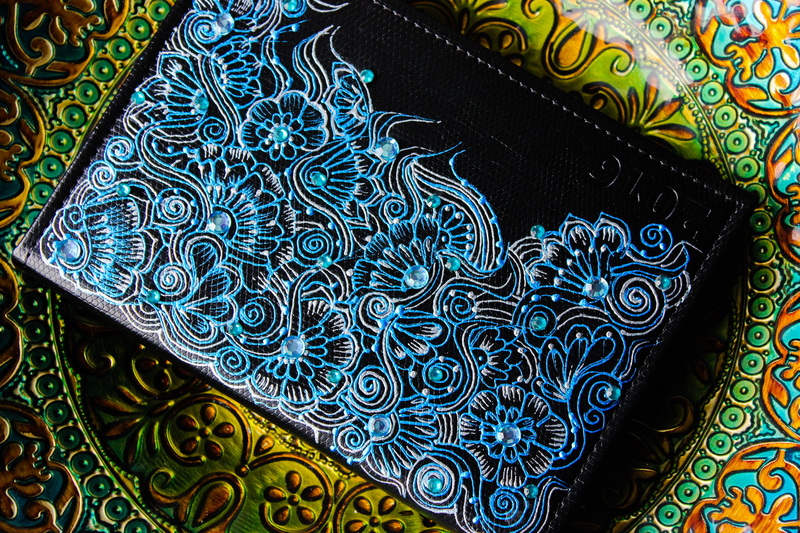 A beautiful pearlescent greeting card intricately hand-painted with gleaming blue acrylic paints and embellished with cerulean blue rhinestones. Perfect to frame and keep as a keepsake. 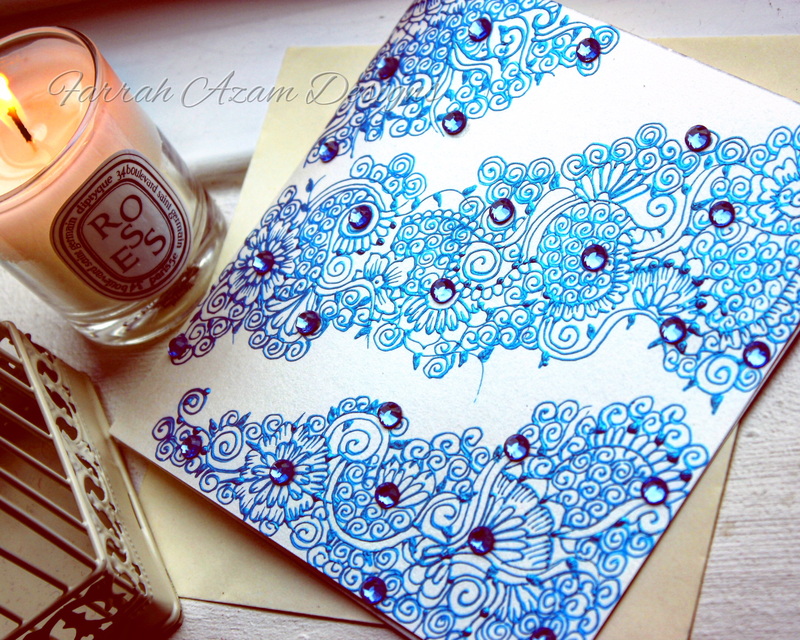 High quality A5 notepad hand-painted with gleaming blue and silver acrylic paints. 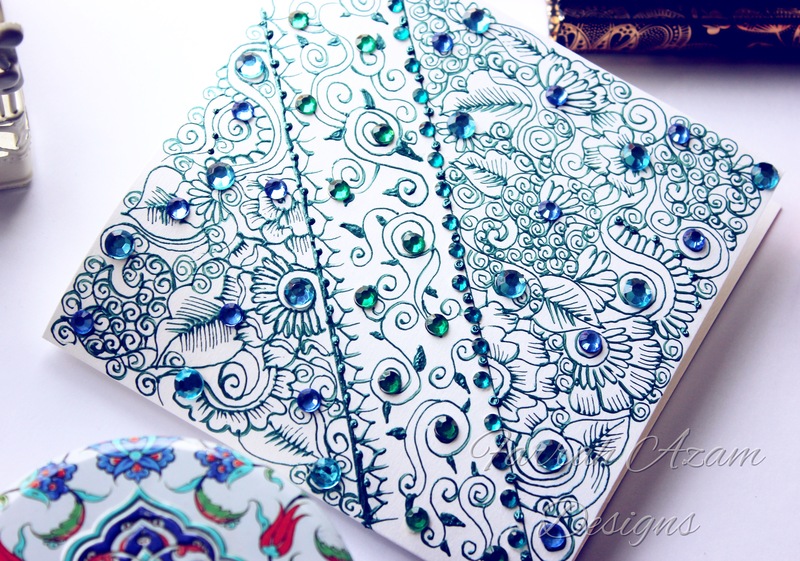 The notepad is finished off with eye catching turquoise rhinestones. 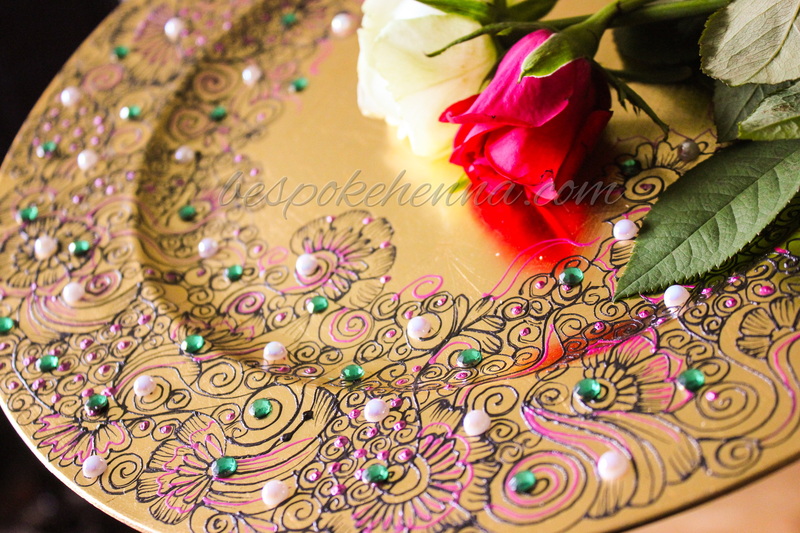 Large gold decorative charger plate painted with a variety of acrylic paints and finished off with AB rhinestones. 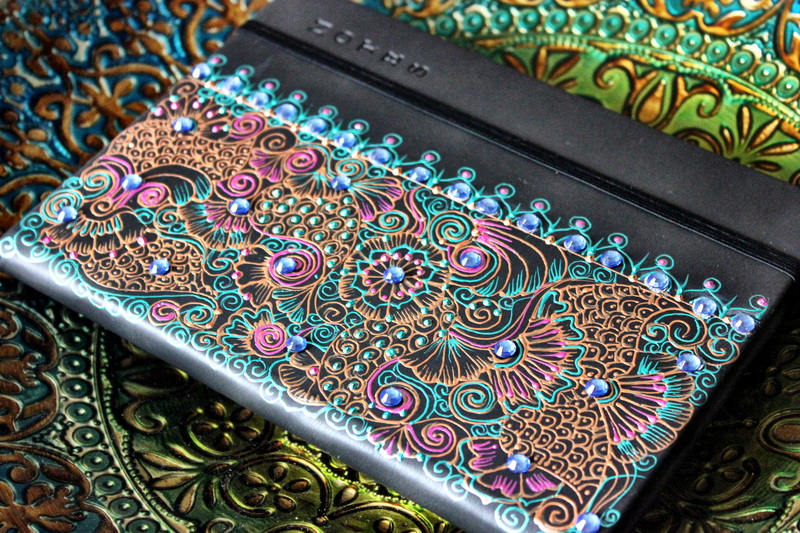 A high quality lined A5 notepad hand-painted with a variety of acrylic paints and finished off with rhinestones. Intricately painted ipad case hand-painted with gold and red acrylic paints. 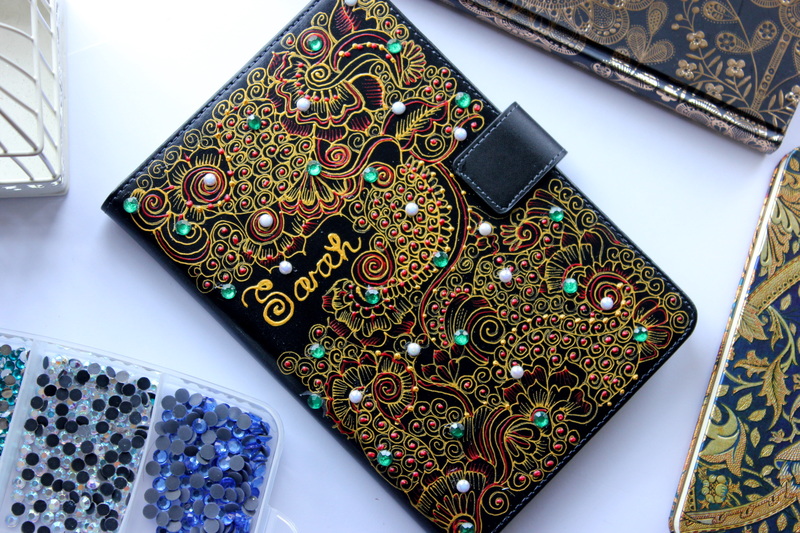 The luxurious leather case has been finished off with emerald and AB pearl rhinestones. 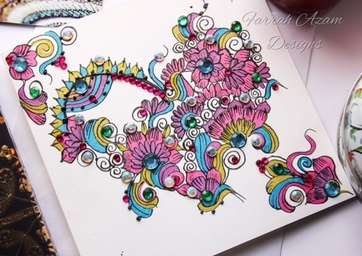 A pearlescent love heart greeting card hand-painted with acrylic paints and vibrantly coloured and embellished with a variety of rhinestones. 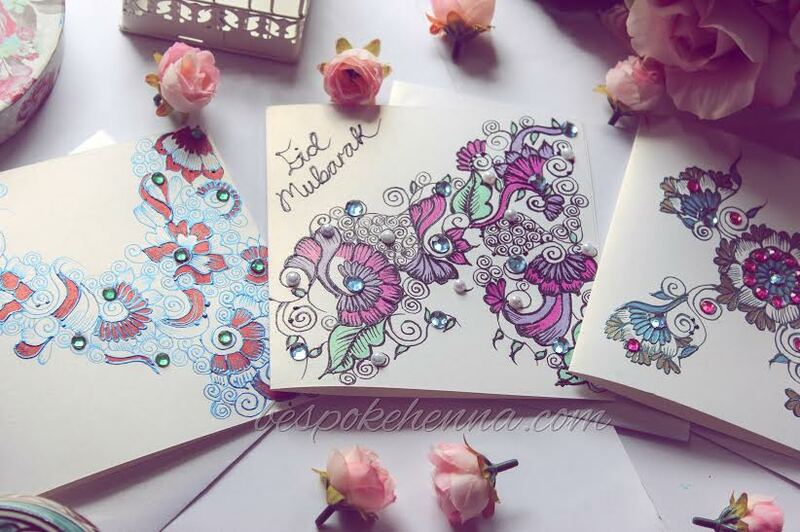 All cards are beautiful enough to be later framed and treasured as a keepsake.